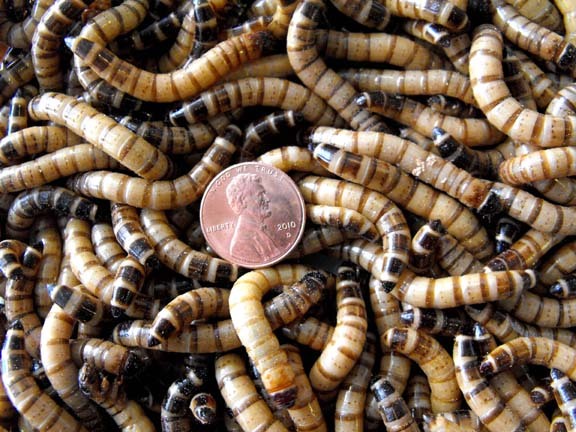 Superworms make an excellent part of a varied diet for many reptiles and amphibians. Other feeder insects to consider as prey items include appropriately sized: crickets, mealworms, silkworms, cockroaches, fruit flies, earthworms etc...Be sure to research your pet's diet very carefully when choosing the most appropriate diet! A vast majority of the nutritional imbalances often seen in reptiles result from a poor and/or unbalanced diets. NOTE: DO NOT REFRIGERATE, STORE IN BRAN OR OATMEAL SUBSTRATE W/CARROTS OR POTATOES FOR MOISTURE.